This movie seems kind of strange. In the hands of other actors it could be a fail, but with Michael Shannon and Kevin Spacey it's more likely to be strangely cool. Both Shannon, and Spacey are really good at that, they can morph awkward and strange into something artful on screen. Take Shelter is still one of my all-time favorite performances by an actor. Shannon was brilliant in that, and overall when he takes risky roles they generally lean toward quality. He has more hits than misses, especially in his recent work. 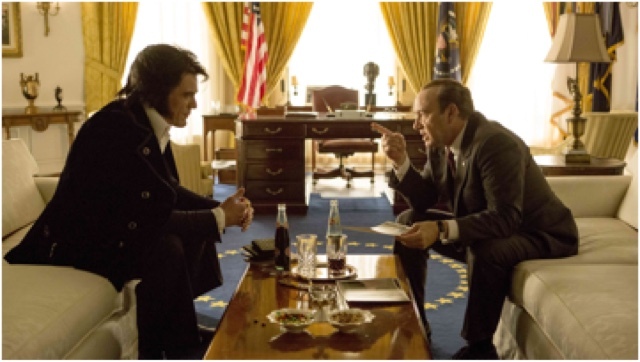 And Spacey is undeniably sharp as a politician on House of Cards so his role as Nixon should be interesting.